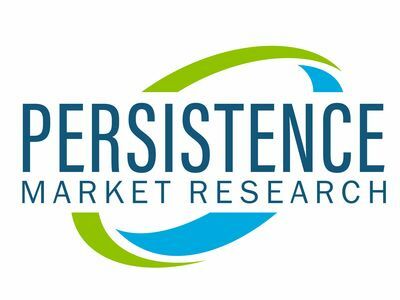 NEW YORK, April 8, 2019 /PRNewswire/ -- Persistence Market Research (PMR) provides critical inputs and analysis on the Global Automotive Parts Remanufacturing market in its new study, 'Automotive Parts Remanufacturing Market: Global Industry Analysis 2013–2017 and Forecast 2018–2026'. The research report offers in-depth analysis on the Automotive Parts Remanufacturing market for the projected period. On the basis of findings in the report, remanufactured automotive parts are estimated to witness soaring demand in years to come, particularly owing to the growing need for cost competitive remanufactured diesel engines. Moreover, the expanding automotive fleet and increasing per capita spending power are contributing significantly to the growth of automotive parts remanufacturing market. The global Automotive Parts Remanufacturing market is estimated to grow at a healthy CAGR of 7.1% during the forecast period, according to the PMR's study. Among the various key factors underpinning growth of the automotive parts remanufacturing market, economic costs of remanufactured parts will continue to be the most sought after one. Better warranty and improved environmental footprint will also remain important factors impacting demand growth of automotive parts manufacturing. The global automotive parts remanufacturing market is witnessing notable growth attributed to the rising number of vehicles with an average age of more than 10 years. Rampant urban population growth in developing countries, subsequently leading to the critical need for personal vehicles for commuting, is particularly resulting in the escalating personal vehicular parc in overall transportation system. Rise in adoption of electrical vehicles is however expected to hamper the growth of automotive parts remanufacturing market as it will challenge the sales of diesel and gasoline driven vehicles. EVs have fewer number of mechanical components, which in turn, will mask the role of aftermarket in automotive parts landscape. This according to PMR will pose a strong threat to automotive parts remanufacturing market. North America is estimated to hold major market share in the Global automotive parts remanufacturing market owing to the presence of a large number of aged automobile vehicles and a large automotive fleet. Europe is projected to follow North America in terms of market share as the region is an automotive manufacturing hub as well as due to high volume sales of passenger vehicles. The region is also estimated to create highest incremental $ opportunity in the global automotive parts remanufacturing market. In terms of growth rate, China is estimated to lead the automotive parts remanufacturing market. The automotive parts remanufacturing market has been projected to register a CAGR of 13.3% over the projection period, in China. The Automotive Parts Remanufacturing market is fairly fragmented, characterized by strong presence of a number of large multi-national corporations and a fairly high number of domestic players spread across various regions. The report highlights some of the leading players in the global Automotive Parts Remanufacturing market, such as Volvo AB, Robert Bosch, BBB Industries, Cardone Industries, Valeo SA, Meritor Inc., ATC Drivetrain LLC and Motor Parts of America, among others.